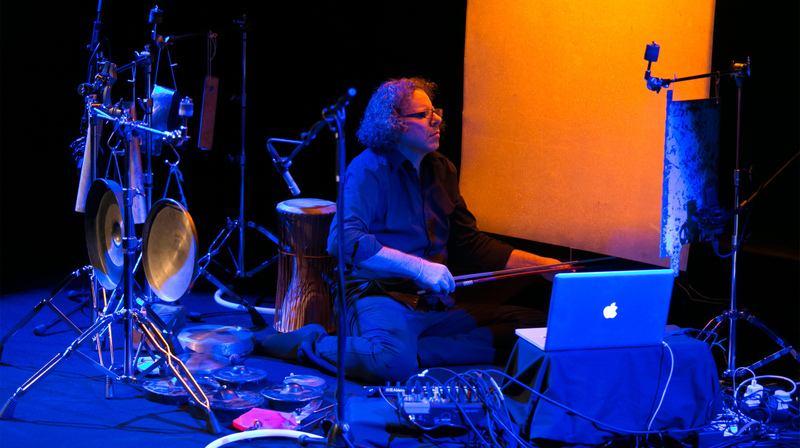 Experimental electronic musician and composer Renzo Spiteri performing Quintessence. The Valletta 2018 Foundation and the artist collective Open Works Lab are collaborating on a three-year project that will form part of Malta’s European Capital of Culture Programme. Focusing on work that is both innovative and long-lasting in impact, this collaboration will see the development and launch of a series of cultural and artistic events named, Quintessence. Experimental electronic musician and composer Renzo Spiteri, dramaturg and academic Giuliana Fenech, and cultural manager Gaby Giacchino, the members of Open Works Lab, have extensive experience in the artistic conception, design, development, administration and management of various local and international projects, and also share a strong track record in collaboration with a number of organisations on several platforms. Like Valletta 2018, Open Works Lab seeks to capitalise on Malta’s unique island position in the middle of the Mediterranean, at the heart of Europe, to produce a long-lasting cultural and artistic legacy. Open Works Lab develops work that is both intimate, tapping into our roots and origin, and experimental, always seeking what lies beyond the horizon of what we know already. The collective operates by the core values of research, collaboration and cultural legacy. Further information about Open Works Lab is available at www.OpenWorksLab.com. Tickets for Quintessence solo performance, the first event of this collaboration, are available from St. James Cavalier by calling on 21223200 or online at ticketengine.sjcav.org.